Organizing makeup is a lot less fun than it sounds. Especially if you’re a beauty enthusiast and own more than 18 kinds of makeup brushes, sorting your makeup out conveniently is very important. 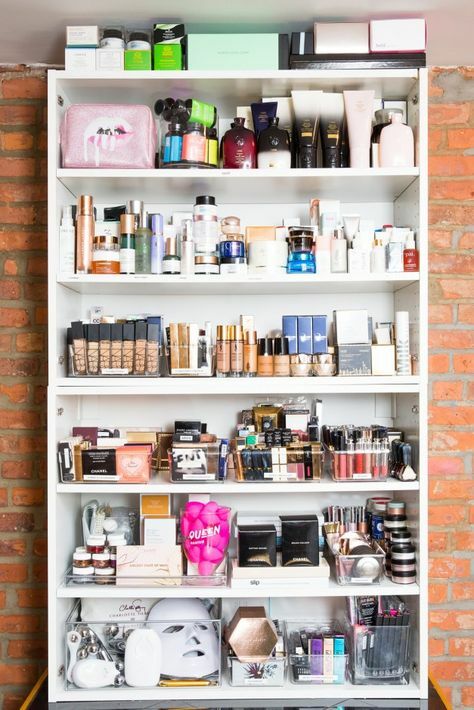 If like me, you’re a collector (which is just an innocent term for makeup hoarder) it’s more than just organization, it’s about making the most of your passion for beauty and saving time while at it. And there are some very efficient, quick-fix ways to sort our makeup. Have a look. If you have even a little space in your apartment or loft, spare it for a beauty closet. A separate closet, however small, works much better than a dresser. 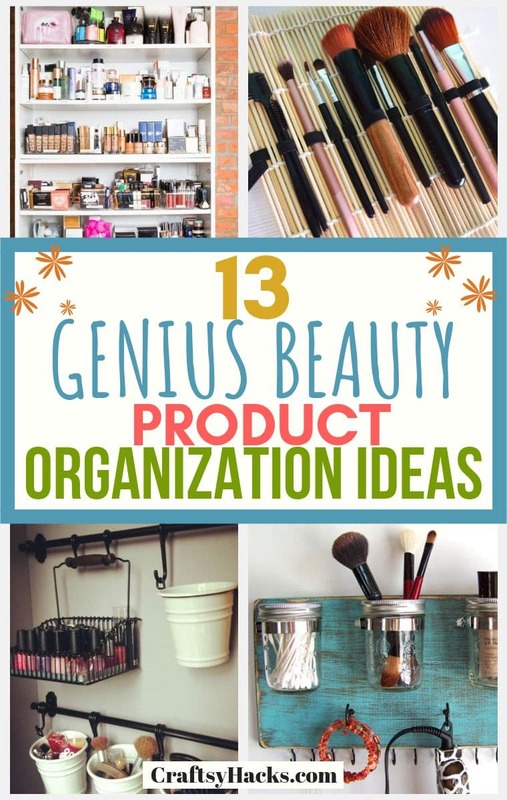 That’s especially if you have too many makeup products, which you want deftly organized. You can categorically divide the makeup based on necessity or palette. And it won’t just save you a lot of time but will also make sorting out your essentials so much easier. This shelving unit is sturdy and can help you to keep all your beauty items beautifully stored. You don’t really need to spend money on cute makeup boxes or holders. 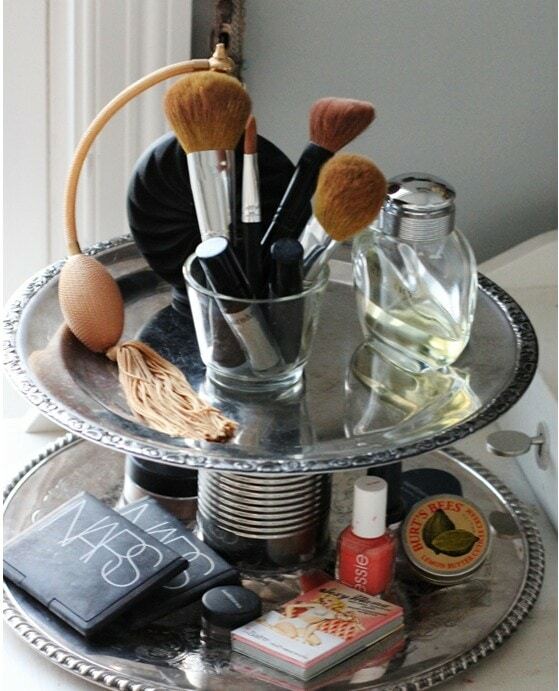 You can just use your old candle holders to store makeup. You can find very affordable candle holders at IKEA or the Dollar Store. Buy the ones that match your décor. Candle holders are very convenient since they can hold your vertical products such as brushes, tubes or bottles. Trust me, you’ll fit them all! Here is a good quality frame made out of natural oak. 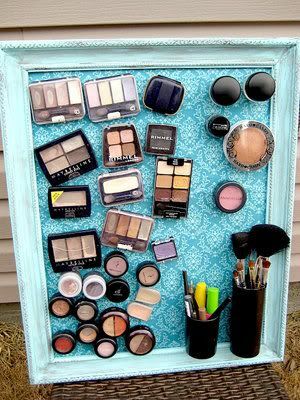 The best and most efficient way to display makeup is on a magnetic board. Especially the products which have flat bottoms such as blushes, concealers, lip balms, and bronzers. You can easily attach them to the boards, so all the colors and palettes are visible when you need them. If you don’t have any space for a dresser or a table. 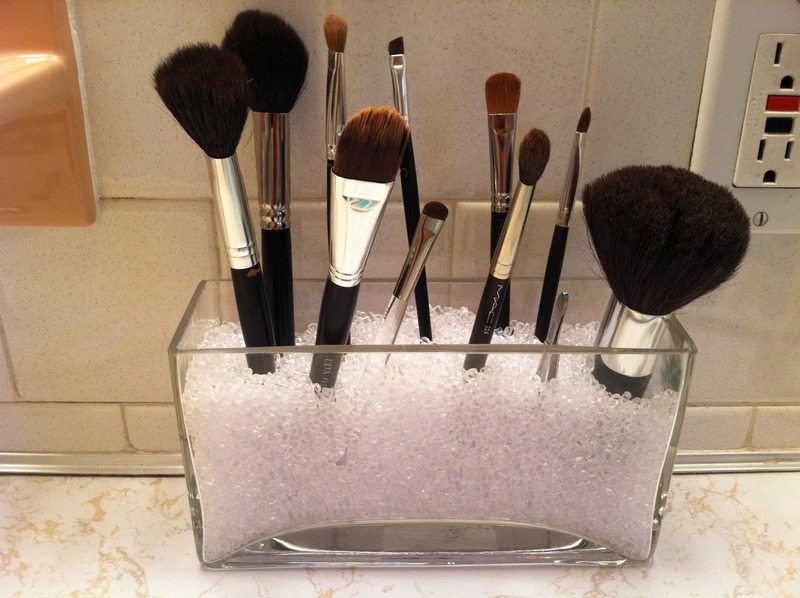 Keep your makeup in white buckets or baskets. Get a little rod to hang them on, a few hooks and you’re good to go! You can have these either in your bathroom or bedroom, truly depends on where you have the most space. 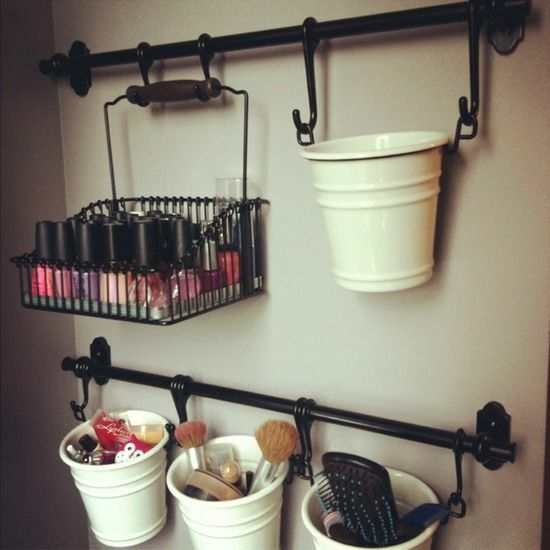 In this way, you can hang more than four or five moderate-sized buckets and keep all your makeup in them. Finally, it’s super convenient to have this little station next to your mirror. 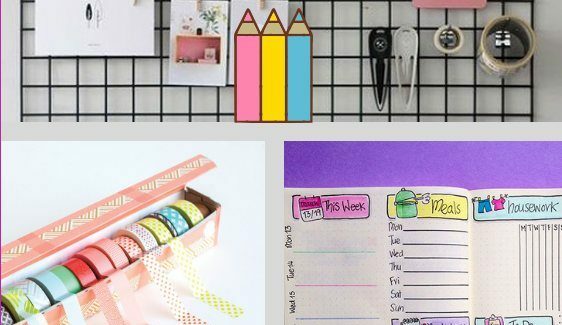 This is one of those cheap organization hacks you most definitely have to try. Try these buckets here, they come in different colors too. 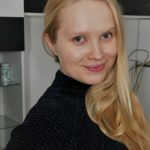 Most of us want to be able to see our makeup products when we need them, especially when we’re getting dressed for work. For that, you can just use an old cake pan. 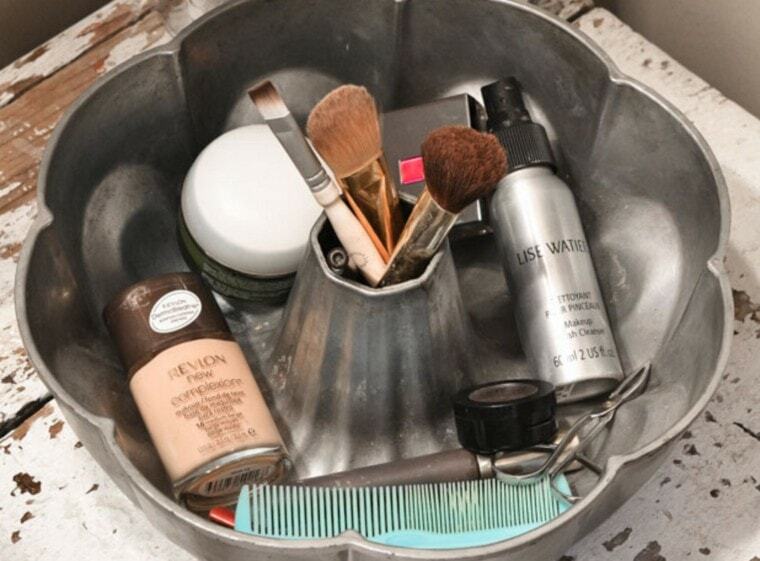 A bundt pan can hold quite a few makeup products and still look great. If you opt for a vintage cake pan, it might as well just take your interior design to a whole new level! 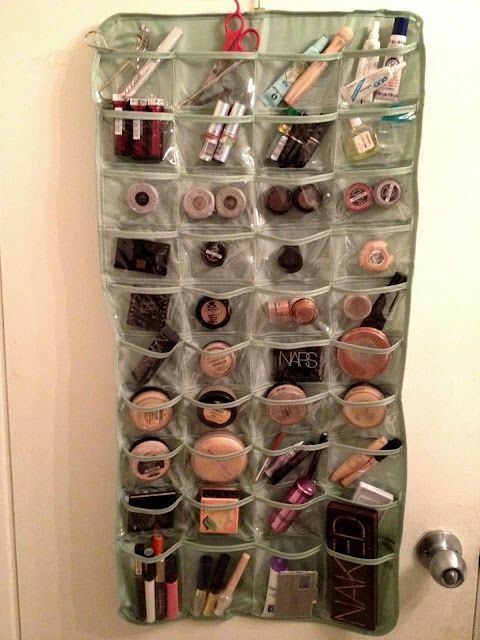 The thriftier hack to store makeup is by using see-through water bottles. 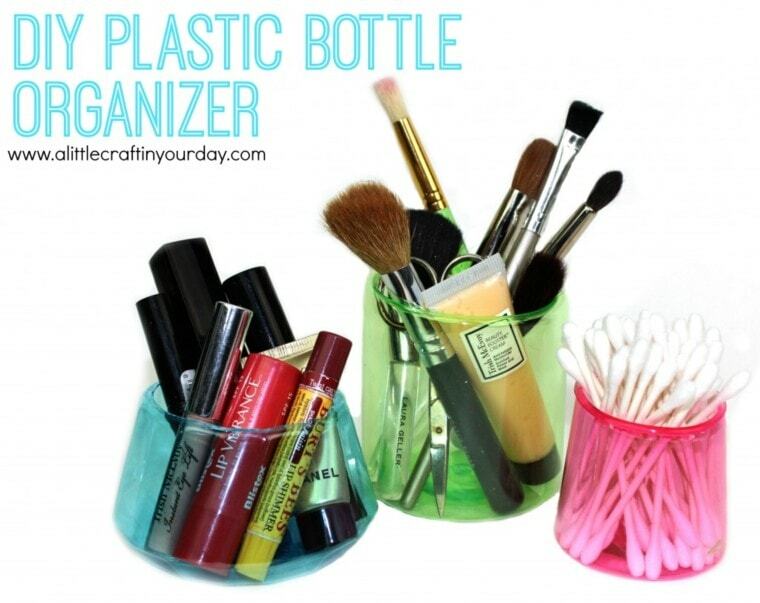 You can just cut up these colorful bottles into halves and use the bottom part to keep makeup brushes or tubes. These holders will cost you no money, and you can sort your makeup according to colors. Simple and very cheap! In case you’re looking for an easy way to sort your makeup, just get a sushi mat. Then, get an elastic band, cut it and pass it through the mat in an even fashion. You can then use it as a brush holder. It looks fun is super convenient when you’re doing your makeup! Here are good quality bamboo sushi mats. I usually want to keep my wellness products away from my makeup. And I use mason jars for that. These have labels and are pretty great. You can try it too. 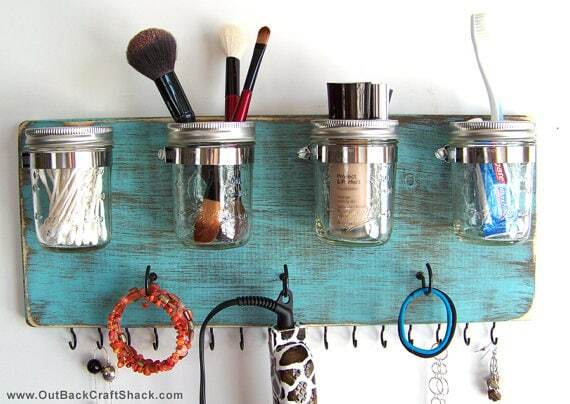 Get a wooden board and attach smaller jars to it. Make sure it has a few hooks here and there to hang your appliances. You can use one jar to store your Q-tips, the other for your cleansing pads, and so on. 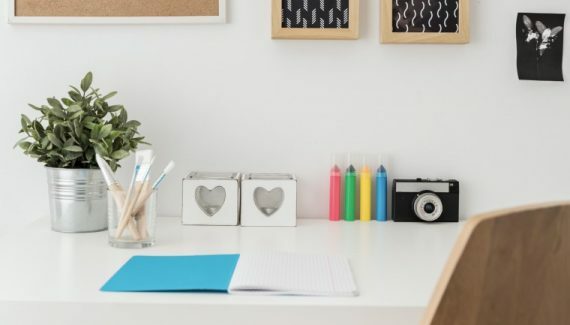 You can use these for desk organization too. If you have space for a table, opt for a vanity table with a glass top. You don’t have to keep the makeup products on the table. You can have your drawers right under the glass where you can see all the products. It’s a great idea if you need to have a few notes right in front of your eyes whenever you’re doing your makeup. Also, this might as well encourage you to keep your things organized. Notice how shoe organizers have separate compartments? 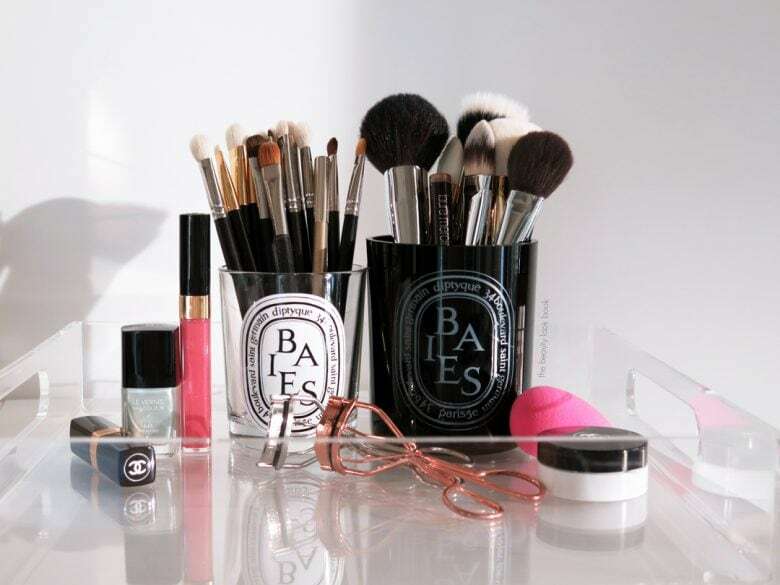 These can be very handy for storing makeup products. 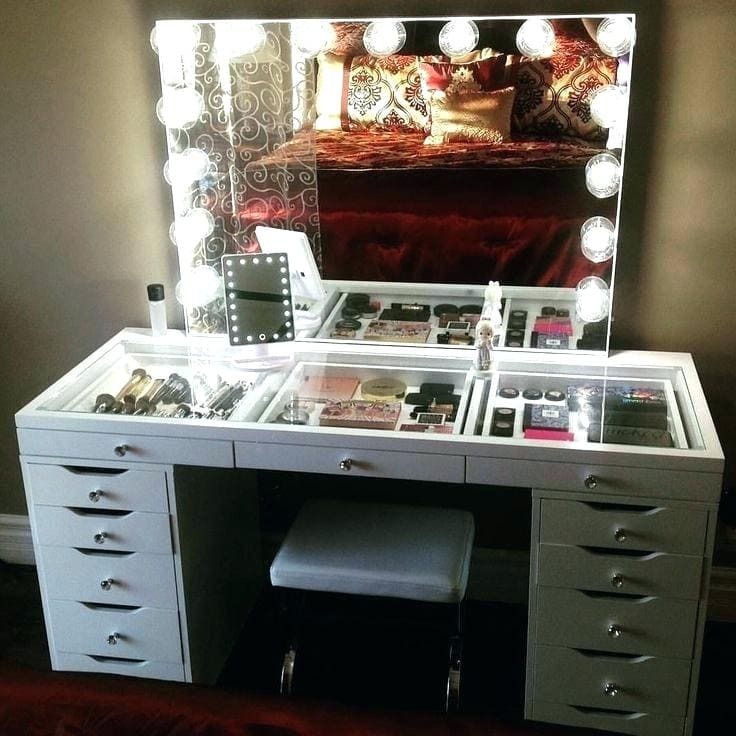 You can just hang it near the mirror and do your makeup whenever you need to. If you’re a messier person and have a hard time keeping your goodies organized, this is a perfect option. Staying messy will be much harder with this hanging organizer! You can buy one here. If you decide on a single brush holder, you might struggle with finding the right brush whenever you need it. You won’t be able to tell which one is for what. So, just fill up a plastic box with either plastic or gel beads. Then, just stick your brushes and let them stand. They won’t fall down, and you’ll be able to tell which brush is for what. 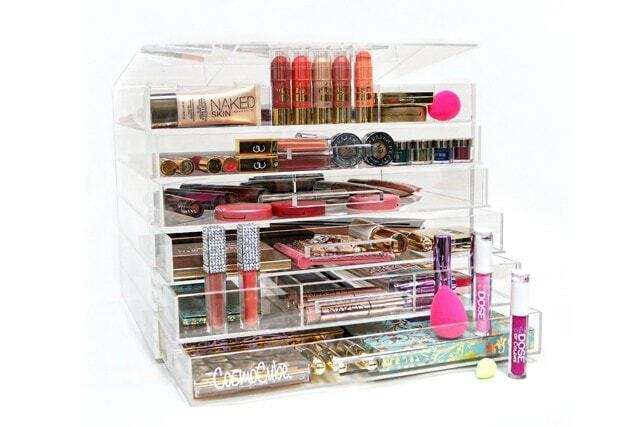 The handiest way to arrange your makeup is to use a 2-tiered organizer. This allows you to sort your products out in a more accessible way. You can get one of these at Target. They’re usually used for serving food. 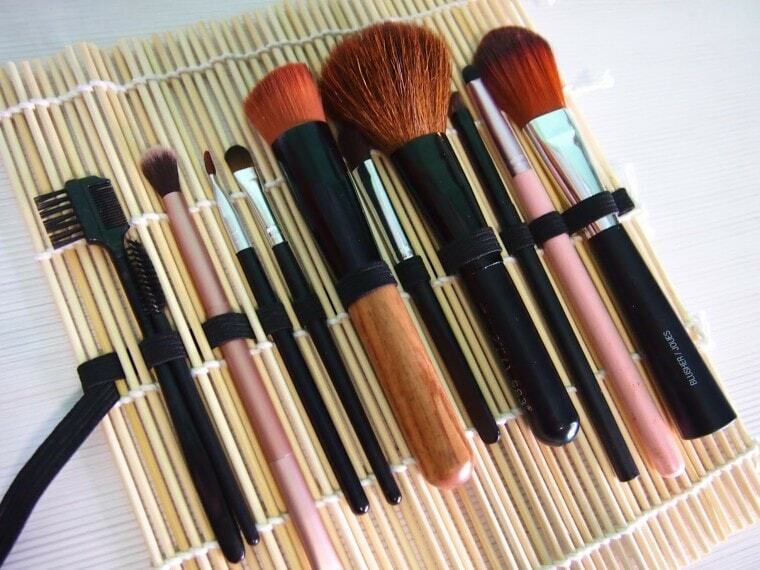 However, they’ll work just as well to keep your makeup organized. Sorting your makeup into separate smaller drawers can be life-changing. You can rotate out the products you no longer use, and stock up on your favorite ones. That’s where acrylic case drawers will come in handy. Since they’re plastic, you can see through them and catch whatever product you need at the time!